Wilco Cooperative today announced the June 6, 8:00 a.m. opening of a 37,000 square foot retail operation in Bremerton, Washington, that will provide area residents access to a wide variety of supplies and services to support pets, gardeners, homeowners, and the rural lifestyle. EAST BREMERTON – Wilco Cooperative today announced the June 6, 8:00 a.m. opening of a 37,000 square foot retail operation in Bremerton, Washington, that will provide area residents access to a wide variety of supplies and services to support pets, gardeners, homeowners, and the rural lifestyle. Located at 4330 Wheaton Way, the new store will employ a staff of 35, primarily drawn from the local community. 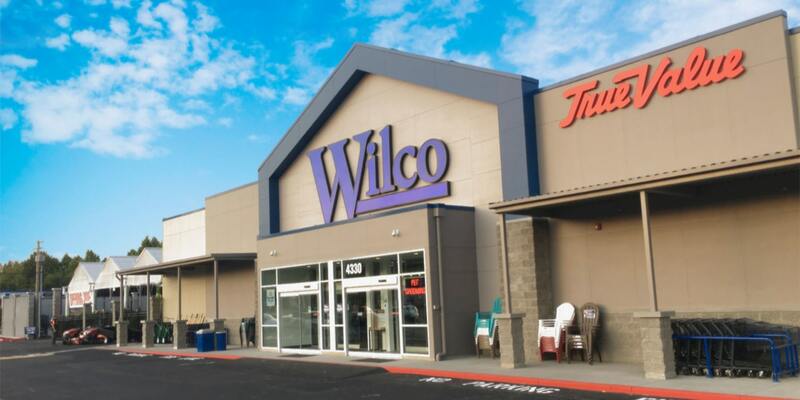 This is the sixth Wilco store in Washington, with an additional 13 located throughout Oregon. “The Bremerton area doesn’t yet have a store like Wilco’s, so we’re looking forward to serving an unmet need to consumers,” said Jenifer Garwood, Bremerton store manager who brings 20 years of retail experience to her position. The Wilco store will include a 5,000-square-foot greenhouse, 4,500-sqare-foot clothing and footwear pad, over 10,000-sqare-foot pet and livestock feed warehouse, a dog-grooming shop, animal health and fencing supplies, as well as an extensive hardware and Benjamin Moore paint department. The store will also offer a seasonal range of chick breeds; on hand in June will be Buff Orpington, Ameraucana, Delaware and Dominique chicks. The Grand Opening event planned for June 21 – 24 will include drawings for 19 prizes ranging in value from $100 for a Farnam equine gift pack, to a $799 Traeger BBQ, and up to $999 for a YardMax log splitter. Coupons and numerous special deals across the store will also be on offer, and during “Free Hat Friday” on June 22, customers spending more than $20 will receive a free baseball cap. During a preview sale on June 10 and 11, Wilco’s “Bucket Sale” will offer 20 percent off anything that fits inside a 5-gallon bucket, and 10 percent off everything else in the store. In addition to its economic and employment benefits, Wilco will also deliver on its commitment to the Bremerton community, part of its philosophy as a farmer-owned cooperative. As an example, during the Grand Opening events, local FFA members will be on hand serving hot dogs to raise money for their programs. As a special service and in recognition of the cooperative’s appreciation and respect for our country, Wilco also offers a flag retirement program through which residents can bring in their worn flags for proper retirement by the company working with local Boy Scout troops.